The Quicklink Enterprise & Quad 2 Playout Servers are feature-rich, high performance, video distribution platforms. They have been designed to seamlessly receive, decode, manage, and play out any live or recorded video. These servers allows the distribution of multiple incoming feeds to multiple playout points as well as the management of stored files. The Quicklink Enterprise & Quad 2 Playout Servers guarantee peace of mind thanks to their high level of resilience and hardware monitoring system. Why choose the Quicklink Playout Server? The inclusion of the Quicklink Server to your workflow is a cost effective option. It ensures the broadcasting of optimal quality transmissions in a fully controlled manner. The Quicklink Live Receiver is a point-to-point live video streaming application with Forward Error Correction (FEC). It automatically plays out on HDMI and SDI outputs. 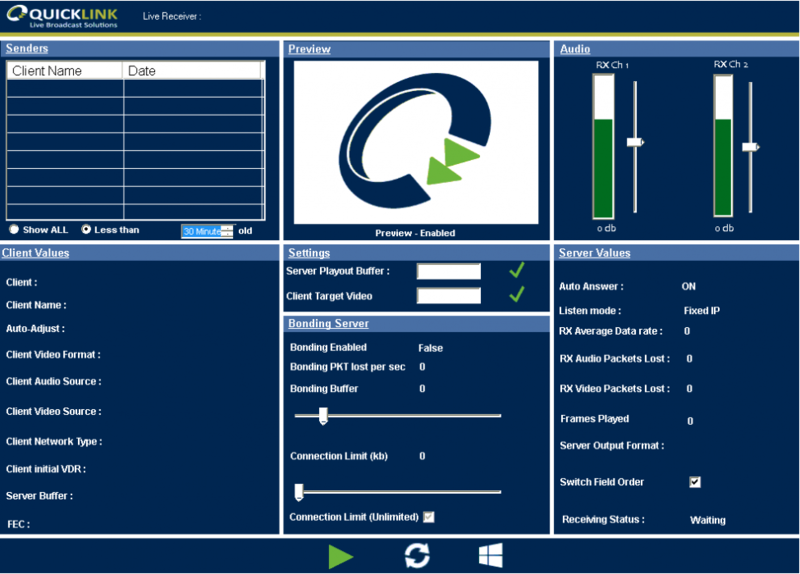 The application provides a video preview (when receiving from the Quicklink Windows Bonded Live Software), audio channel levels as well as client and server technical information. A variety of interface options allow you to adjust the video data rate from the selected incoming stream. Auto FEC and Auto Latency functions together with glass to glass adjustments help minimise picture quality losses. WBBM is an intuitive on premise video content storage and transfer system. 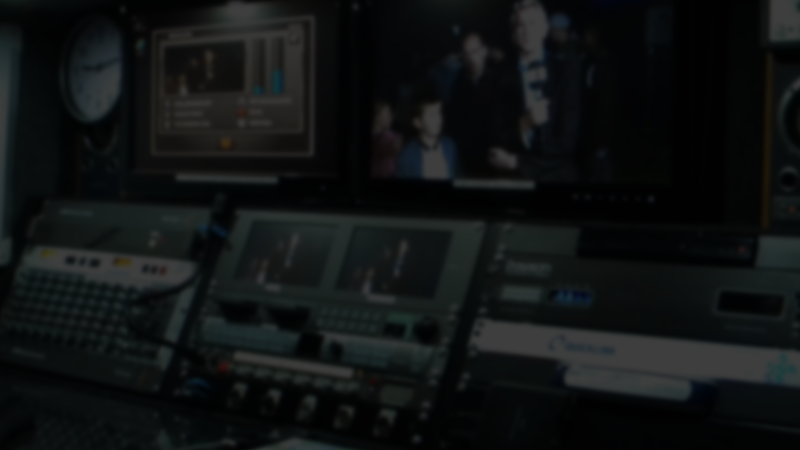 With WBBM, you can manage all industry standard video formats for distribution through the Quicklink Enterprise Playout Server SDI output. To read the technical specifications, click here. Want more information about the Enterprise and Enterprise Quad 2 Playout Servers?